Cypress Cemetery on Saybrook Point in Old Saybrook is one of the oldest, continuously operating cemeteries in North America. 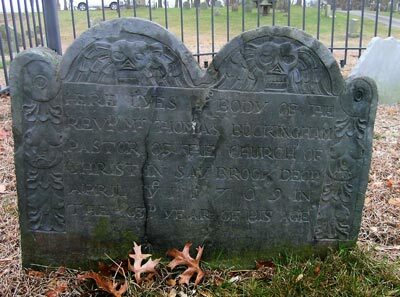 The old burial ground portion of the cemetery was established as a part of the original English Saybrook Colony laid out by Lieutenant Lion Gardiner in 1635. 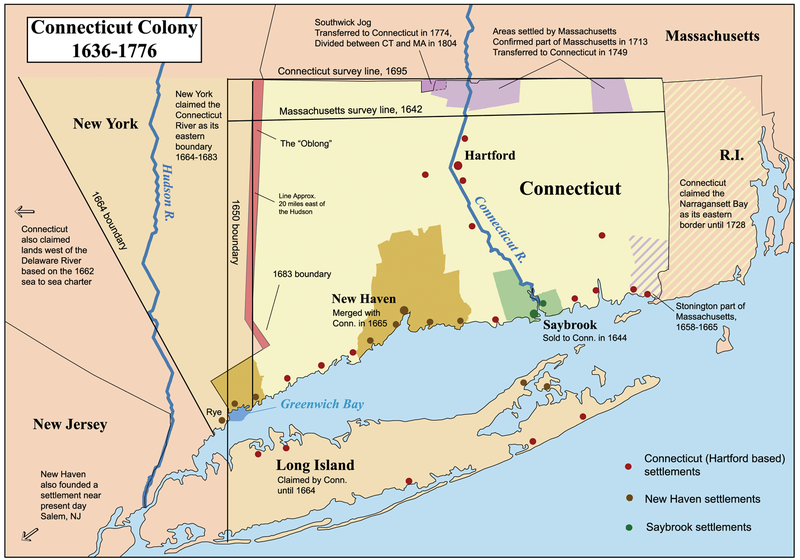 The accompanying map shows the early colonies of Connecticut. 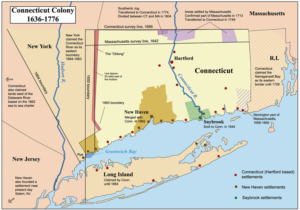 Only the Connecticut Colony settlements of the Windsor, Wethersfield and Hartford area are older. Saybrook Colony was the first military outpost built on the shoreline, built to protect the mouth of the Connecticut River. The New Haven Colony further down the coast was settled in 1638 shortly after the settlement at Saybrook Point. Cypress, the original Saybrook Colony cemetery, is still accepting burials today. In fact, we have over 400 plots and cremation niches available. In contrast, the original cemetery of the New Haven Colony – the New Haven Green – was closed when it became filled toward the end of the 1700’s. 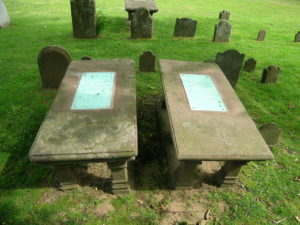 The approximately 5,000 colonial burials that took place in the New Haven Green still remain there – only the tombstones were moved when the Grove Street Cemetery opened to be established as the city’s new burial ground. Those old tombstones can be seen today lined up around the periphery of the outer wall at Grove Street. Reverend Thomas Buckingham, one of the earliest pastors of the First Church of Christ in Saybrook, one of the board members that brought the Saybrook Collegiate School – today, Yale University – to the colony on Saybrook Point, and one of the pastors responsible for the drafting of the Saybrook Platform, the “rules” established for all of Connecticut’s congregational parishes. Nathaniel Lynde, well-to-do son of a prominent Boston gentleman, donated his 13 acre property on Saybrook Point to the fledgling Saybrook Collegiate School with a caveat that the school could use the land as long as the college was located here on Saybrook Point. After having been established here in 1701, the college moved to New Haven in 1717 after being “wooed” there by benefactors offering books and funds. The largest of those benefactors was Englishman Elihu Yale, hence the college was renamed Yale College. The university still has a “Saybrook College” within the university structure in homage to the college’s roots in Saybrook. 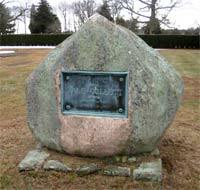 The Yale Boulder plot at the front of Cypress was placed and dedicated in 1913 to reflect the beginnings of Yale at that site (the building that housed the classes is thought to be several hundred feet to the west at the corner of College Street and Ward Street (photo at right); although the school wasn’t likely located at the boulder site, it was a portion of the thirteen acres donated for the collegiate school by Lynde). Cypress Cemetery is located on College Street, named because of the location of Saybrook Collegiate School. Fenwick became the Governor of Saybrook Colony until he sold it to the Connecticut Colony (Hartford, Wethersfield, Windsor) in 1650. While here in the colony, Lady Alice gave birth to their two daughters. Sadly, Lady Alice died inn 1648 after the birth of their second child and was buried on “Tomb Hill” down by the riverfront and within the colony fort. When the New Haven Railroad proposed to connect the Saybrook Junction train rails down to Saybrook Point to service wealthy residents of the Borough of Fenwick about 1870, residents decided that they couldn’t let the railroad desecrate Lady Alice’s resting place. As a result, they dug up her remains in an elaborate ceremony, took them to a local doctor’s house, cleaned them up, put them in a new casket, and held a funeral ceremony at the Congregational Church. 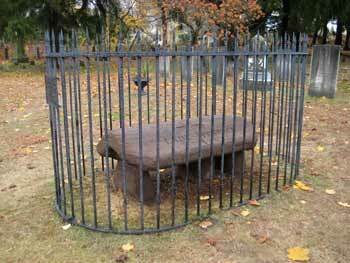 Afterwards, they bore her remains to Cypress Cemetery where she was reinterred in a spot at the front of the old burial ground and adjacent to College Street where she can be visited today. 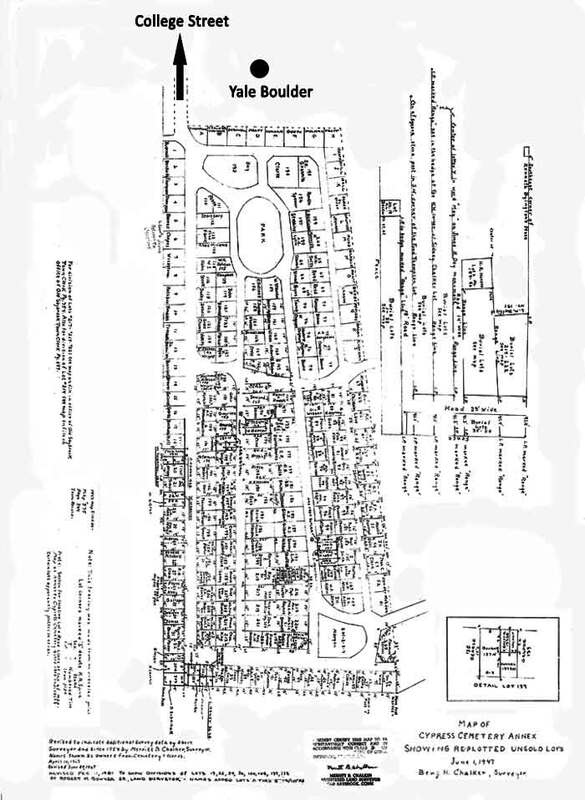 By the way, the Fenwick’s home was located on the 13 acres of which Nathaniel Lynde came into possession, the same property that a portion of which is now the “Annex” of the cemetery. You’ll see stories of other buried at Cypress on the History page of this website.